At Home With T Marie : OOOOOOOO its so good! Hello my friends, It is so cold outside here in Wisconsin. Going to be below zero tonight. BRRRRRR! So I thought that I would warm up the house a bit more and ad that homey (is that even a word?) apple pie smell in the house. So through my cookbook I went, page after page, recipe after recipe, looking for maybe a good custard or bread pudding recipe. 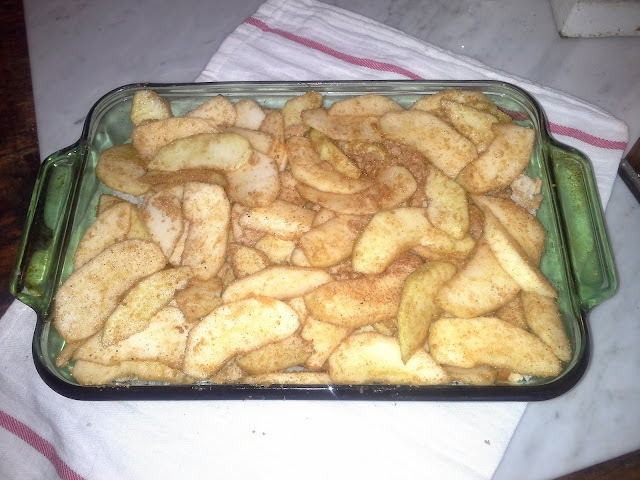 I came across an unusual name of a recipe called APPLE SLUMP. Have you ever heard of this? Me either. Checked out the recipe ingredients and looked like I had everything available. So anywhoooo, it is so delicious! I just have to share this with you. It reminds me of a breakfast dish that I made at our bed and breakfast which I will have to share a few of those recipes down the line sometime. 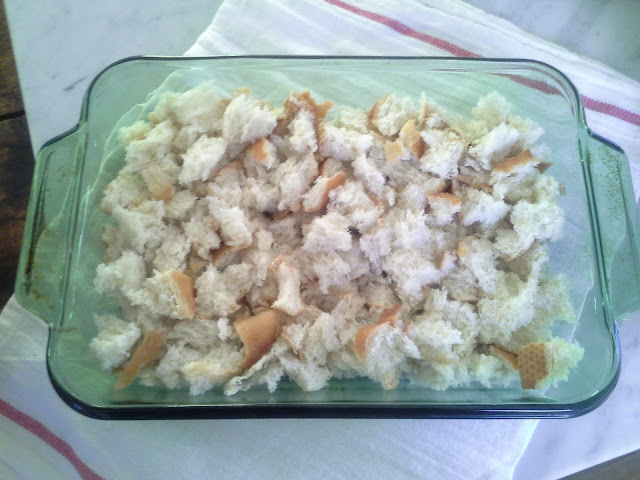 Bread crumbs ( I used a few days old french bread that I tore into small pieces. recipe does not say how much of bread crumbs but I did about 4 cups of my small pieced bread). Make a layer of bread crumbs in a 9x13 pan. Add the brown sugar, cinnamon, and nutmeg to the chopped apples and layer over the bread crumbs. Beat together the cream and eggs and pour over the top. Bake uncovered in a 375 degree oven for 30 minutes. Cover with foil and bake for an additional 20 minutes. 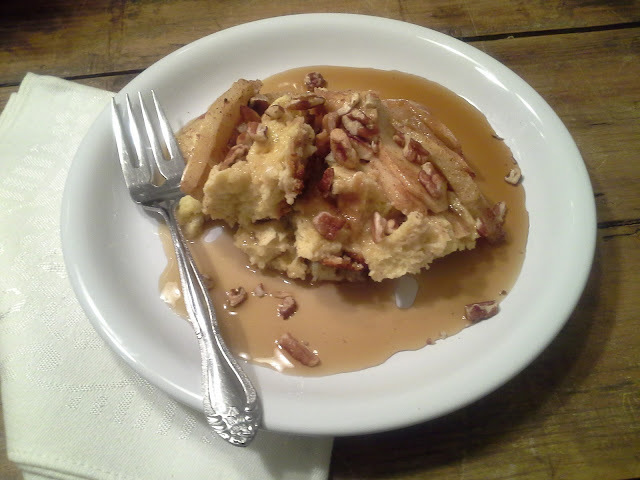 This would really be good with a dollop of whipcream and then sprinkle a few chopped pecans on top. I did not have coolwhip on hand so I used maple syrup with chopped pecans and it was very good either way. 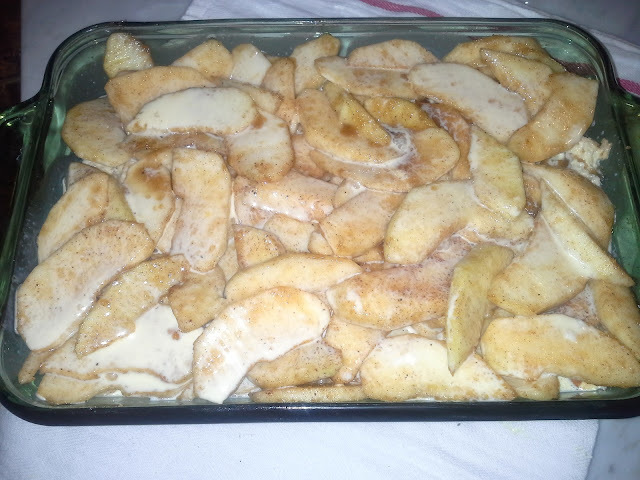 Gotta get a few more apples and I'm trying this. 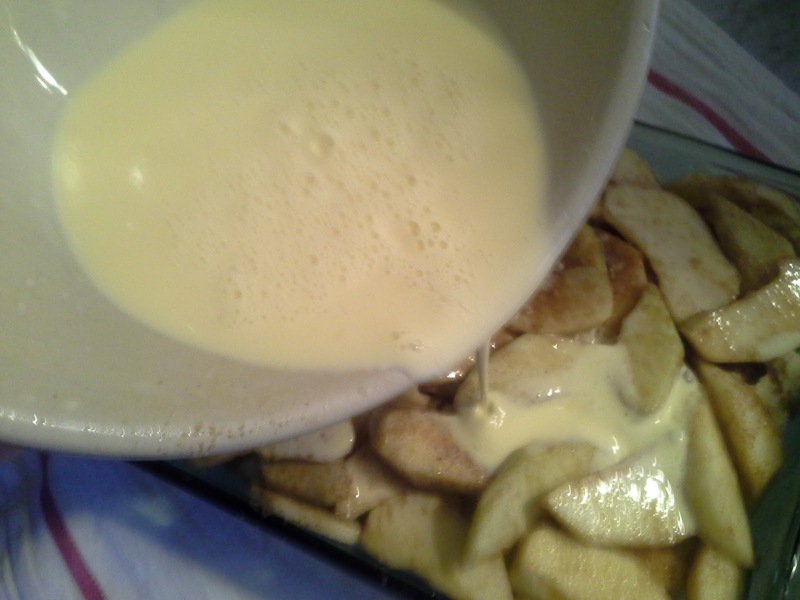 We do apple pie often, but this looks sooo yummy!